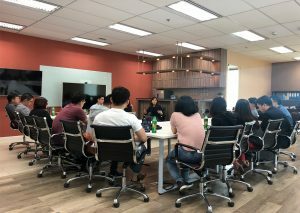 Bangkok-based fintech startup MoneyTable announced on Monday that it has raised a US$1.5 million of seed funding from K2 Venture Capital and Kejora Ventures. Chatchaval Jiaravanon (Chairman of the Board of Finansia Syrus Securities) and Chualapayap Srikarnchana (Chairman of Asia Insurance) also participated in the round. MoneyTable describes its product as a combination of fintech, human resources management, and security. The MoneyTable platform allows employees of a company to explore personal financial options with ease and safety. It utilises big data and machine learning algorithm to analyse applicants credit score information, as well as blockchain and decentralised data network to provide extra protection. The startup plans to use the new funding to focus on working capital and customer base expansion. In an e-mail to e27, the startup explained that it is aiming to secure one million customers by end of 2017. To achieve its goals, MoneyTable partners with several companies and individuals. “We are partnering with strategic partners who can help us grow quickly in the space that we want to be in. 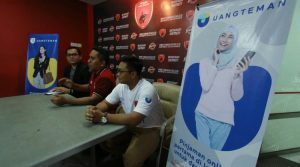 For example, we are partnering with Humanica, a HR software firm with over 300,000 subscribers which overlaps the same customer target as we do, to expand our customer base,” a MoneyTable spokesperson explained. Some of its partners include Ananda Development and its Ananda UrbanTech incubator programme, as well as Loxley PLC. The startup had also won the “Rising Star” award at the Thailand Fintech Challenge event held by the Bank of Thailand, the Securities and Exchange Commission (Thailand), the Office of Insurance Commission, and six other regulatory agencies. The team competed under the name C3.Finance during the event, and is currently undergoing the process of sandboxing with the Bank of Thailand. The service is expected to be launched this year.